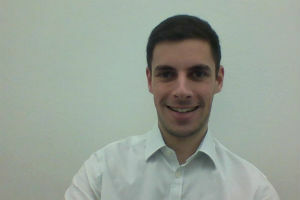 Adam Taylor, co-chair of JNet, the Civil Service Jewish Network. 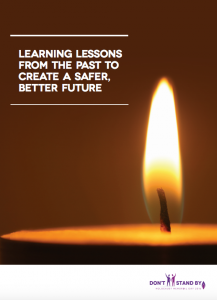 Holocaust Memorial Day 2016 will be marked on 27 January. How, in 2016, are we supposed to remember the horrors of Nazi persecution when they occurred long before many of us were even born? A few years ago, while I was at home with my family, my Mum was sorting through some old boxes. She showed me, among other things, one of my grandfather’s school exercise books from his childhood in Germany. Like any schoolchild, he had carefully written the date at the top of each page and completed that day’s work below. As I flicked through the book, the writing suddenly stopped around halfway through. The date was early 1939. The following day, he came to Britain on the Kindertransport, the trains which rescued thousands of children from Nazi Europe. I remember being moved when I saw those empty pages. On the one hand, I found hope in the fact that he had escaped to a safer and happier life. On the other, I was shocked at how his future in Germany – something as seemingly mundane as going to school – had suddenly vanished. But seeing the book moved me for another reason. The terrible suffering experienced by so many during the Holocaust can sometimes seem difficult to relate to. Only those who went through it can truly understand the pain that millions went through. The experiences of a schoolchild are, however, closer to home. We were all once filled with the innocence and hopes of childhood, and can realise the cruelty of having that so suddenly taken away. My grandfather was one of the lucky ones; over 1 million children were killed in the Holocaust and many more survived only having lived through the ghettos and death camps. For me, remembering the Holocaust means remembering how fortunate my family were to escape to Britain. It means remembering the hatred which meant that they had to escape at all. And it means remembering how many others had their lives and dreams ahead of them cruelly taken away. The theme of this year’s Holocaust Memorial Day is Don’t Stand By. This means speaking out when we see cruelty or hatred anywhere in the world today. But it also means continuing to remember the events of the past, and not assuming that others will do this for us. So please, this Holocaust Memorial Day, try to hear a Holocaust survivor speak at one of the many events across Whitehall and the rest of the UK. Listen to their stories, pass them on, and ensure that we remember how relevant this uniquely awful chapter in history is still today. Thanks Adam for your moving and thoughtful piece. We ignore what happened in the holocaust at our peril - it reminds us that we must not stand idly by and watch persecution carry on. Thank you for this thoughtful reflection. What it is to remember - and how to remember - as the generation with direct experience steps back is an important question for all of us. A year ago, I wrote about my experience of not going to Auschwitz with the brother of a cousin who died there. That experience could not happen now and those who come after us will not have even that indirect sense of connection - we need to find new ways of relating and to recognise that inexorably the holocaust is becoming history. Adam thank you.......my thoughts echo those of yourself, Claire, and Stefan. "But it also means continuing to remember the events of the past, and not assuming that others will do this for us." True. So how sad that Rwanda, Darfur, Syria, Cambodia, and Bosnia, didn't even get a name-check in the article. Even though I wasn't born until way after all the atrocities It still gets me every time and get a lump in my throat. I can't even begin to explain how angry and sad it all makes me feel. This should never be forgotten EVER. It is an article about The Holocaust. He didn't name check ISIS, The World Cup, British politics, cooking programmes or anything else. It was just about the Holocaust. The horror of the Holocaust does not deny other atrocities. If you want people to read about and learn about other atrocities, write an article instead of picking holes in someone else's article on a specific topic. I thought that Holocaust Memorial Day was a day to remember all acts of genocide, both before & after the holocaust, after all who remembers the Armenians? The suffering and deaths must not be forgotten -when I was much younger the remembrance slogan “Lest We Forget” was much more prominent. I travelled through Bosnia in 2004, witnessing the destruction of Mostar and the playing fields turned to graveyards in Sarajevo – it was still too dangerous to visit Srebrenica then. The despair I felt then was of the same order as when I had visited Dachau some 20 years earlier. Where is the humanity, how can one individual bring such pain on another? Why do those who have the power to take action fail to do so because to do so may risk their position or reputation? Articles like this must continue to be written and read, lest we forget. We must remember. On a choir tour to Israel some years ago, we all visited the Holocaust museum at Yad Vashem in Jerusalem. Conversation gradually ceased as we went round and everyone emerged in total silence, which continued all the way back on the coach to our hotel. A very sobering and a graphic reminder of the atrocities perpetrated. My late father went into Belsen after liberation and said it was the most horrific thing he had ever seen. There is one thing we should definitely not stand by and miss, the opportunity to record and document the experiences of those who actually lived through the unimaginable horrors of the events of World War II. Whether we record their experiences on paper, or electronically, does not matter. We must do it. Soon, there will be nobody left who knows what happened many years ago, and it wil be left to their paper and sound recordings to tell their stories. Very good article. Unfortunately I fear as we lose this generation over the years that people may start to forget about the terrible events. It would be nice if like the minute silence that is observed for the First World war in offices that we could also recognise all those people who lost their lives in the Holocaust.